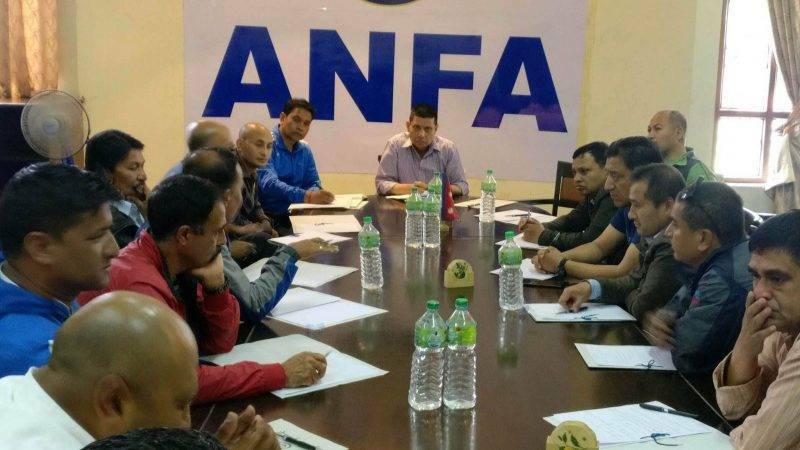 All Nepal Football Association (ANFA) has decided to host the Martyrs’ Memorial ‘A’ Division League from September 29 to January 30, for the 2018-19 season after the league was stalled for 4 years due to political upheaval within ANFA followed by the devasting earthquake in 2015 which crippled the stadium infrastructure in Nepal. After several rounds of meetings with the participating clubs of the ‘A’ Division, the All Nepal Football Association’s league committee chaired by Bigyan Raj Sharma (former Nepal International and former AIGP) has decided to hold the Martyrs’ Memorial ‘A’ Division League from 29 September 2018 to 30 January 2019. All 14 ‘A’ Division teams — Three Star Club, Manang Marshyangdi Club, Nepal Police Club, Nepal Armed Police Force Club, Nepal Army Club, Jawalakhel Youth Club, Friends’ Club, Sankata Club, Machhindra Club, Saraswoti Youth Club, Chyasal Youth Club, New Road Team, Brigade Boys, Himalayan Sherpa Club — will be competing in the league that is being organized after a hiatus of four long years. The committee has decided to let each club register a maximum of 35 players and a minimum of 18 players. A club will be allowed to register four foreign players and can field three such players at a time. The player registration will last for 84 days starting from 31 August 2018.